Metaphors – photo by Hank Clifton. Review of the concert by Matthew Lorenzon of Partial Durations. South Melbourne Town Hall will be the meeting place for a diverse array of music gathered from the far reaches of the world. Featuring the world premieres of a new viola and piano piece by New York composer Paul Kerekes, and a Maqam-inspired viola nonet by Melbourne local Peter de Jager. 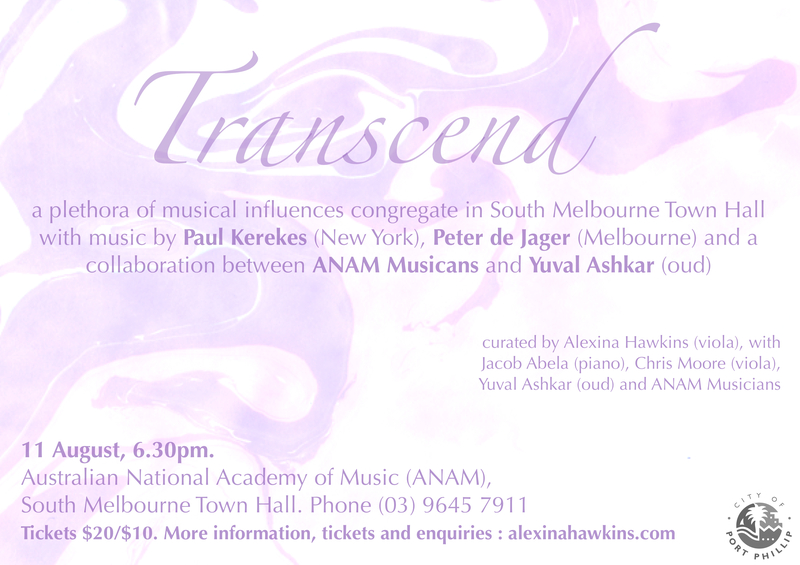 The concert concludes with a unique collaboration between ANAM musicians and Melbourne oud player Yuval Ashkar. This concert features Alexina Hawkins (viola), Jacob Abela (piano), Chris Moore (viola), Chiaroscuro (viola ensemble) and Yuval Ashkar (oud).